What Differentiates Us – See what makes us stand out among other digital agencies. Company Overview – A little about our history and what makes us tick. The SEOteric Way – Our internal compass that guides how we do business. Our Team – Meet the professionals behind our talent and production. Blog – Updates and news about us and the industry. Career Opportunities – Interested in working with us? Join our team. Case Studies – See how we’ve helped other business find success. Design Portfolio – View our web design and branding portfolio. Reviews – See what our clients say about working with us. Content Creation – Content creation that advances SEO and drives conversions. Conversion Optimization – More sales and leads from your website traffic. Email & Newsletters – Newsletters and campaigns that inform and convert. Google Adwords – PPC Adwords Advertising in Google. Google Penalty Recovery – Recovery from Penguin, Panda, and manual penalties. Local SEO Services – Local SEO and Business Listings for local businesses. SEO Services – Get ranked in search engines and drive traffic. Social Media Marketing – Leverage Facebook, Twitter, LinkedIn and More. Logos and Branding – Your Input + Our Talent = Your Brand. Mobile App Design – Mobile Application UX and UI Design. Responsive Design – Website Design that works on all devices and phones. Website Design – Stunning Design built for speed, SEO and Conversions. E-Commerce Websites – Fast, Secure website storefronts for selling online. Mobile App Development – Loyalty & Custom Apps for iOS and Android. Responsive Websites – Website Design that works on all devices and phones. Video Production – Company videos, commercials, and website banner videos. Website Development – Custom and Semi Custom options for large or small businesses. Website Hosting – Managed Solutions for security, performance, and uptime. Get the most out of your SEO investment when you choose SEOteric. We have a 95%+ retention rate because we get results that drive ROI. Success isn't just measured in rankings - it's about getting new customers and growing your business. 100% Risk Free. No Long Term Contracts. Modern SEO is about knowing how to optimize all aspects of your website. SEO involves technical components, content, links and credibility signals, and user engagement metrics. As competition and scope increases, so does the need to be stronger in each area. Our Columbia SC SEO packages are designed to influence the things that will help get your business ranked for the keywords that matter in your area. SEO is a cumulative process and adds value to your website and domain when its done properly. Unlike a pay-per-click campaign, our SEO campaigns have long-lasting value. The processes, pages, business listings, and updates we do for your business will always remain yours. Some companies choose to disable pages, deactivate listings, hold your domain captive or even undo work if you leave. You don't have to worry about that with SEOteric. Whatever we do for you is done in an account that you own and control, and that work stays with your website and your business. Need SEO Services in Columbia, SC? Start here. We don't make our clients sign long-term contracts because we don't want to "lock you in." We want our clients to want to stick around because of the results they are getting. SEO isn't magic, and it isn't a quick fix. SEO done right is about becoming a better resource for your customers. Google wants to give its users the most relevant results, so our approach is built around helping you become a resource for your customers and earning better rankings. The first step in getting better rankings in Columbia, SC is to become a better "resource" for your users. We start by optimizing and expanding website content to better answer the questions your potential customers will have. 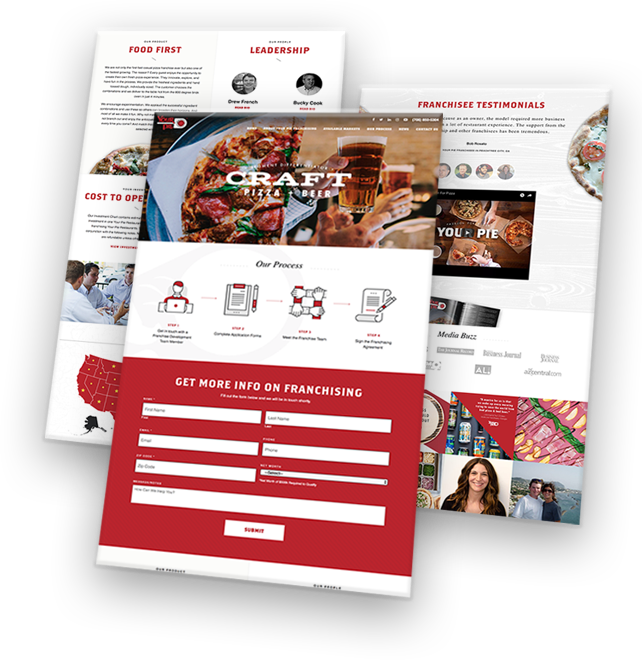 This approach starts on the home page, and funnels down to product pages, service pages, category pages, and FAQs. We optimize code structure and employ structured data and meta data. We leverage image compression, optimization, names and alt attributes. We optimize internal linking, site architecture, and content structure. We crawl and audit the entire site, analyzing elements for issues and optimizing weaknesses. We track thousands of keywords daily and have a close watch on what affects rankings. We also listen and watch for Google updates that affect strategies. SEO isn't about tricking the search engines, but it is about influencing the things that they find important and users find important. We'll help you get more traffic in Columbia, SC. We have documented process for every step of the campaign, and you'll be able to see those steps in your project management portal. We optimize, test, measure, and adjust strategies on an on-going basis to make sure we are staying within Google's guidelines and employing strategies that lead to better rankings and more conversions. Non-branded search is search that doesn't include a brand. Ranking and capitalizing in non-branded search helps you attract new customers near Columbia, SC that are in the discovery phase of their search. They are looking for a solution to their problem, and ranking here can help people discover your brand. We track Google My Business Discovery searches VS Direct searches. We track rankings for branded and non-branded search. We influence rankings for non-branded search by improving overall website relevance and credibility. SEOteric will create trackable conversion points throughout the search process using click to call, lead forms, and other custom event actions that promote engagement and lead to increased leads. You are wanting to grow your business in Columbia, and you'll want to create better opportunities to convert visitors into leads and customers. SEOteric can create clickable assets that could be tracked via Google Analytics to understand user behavior, and these insights were used to further optimize website content. 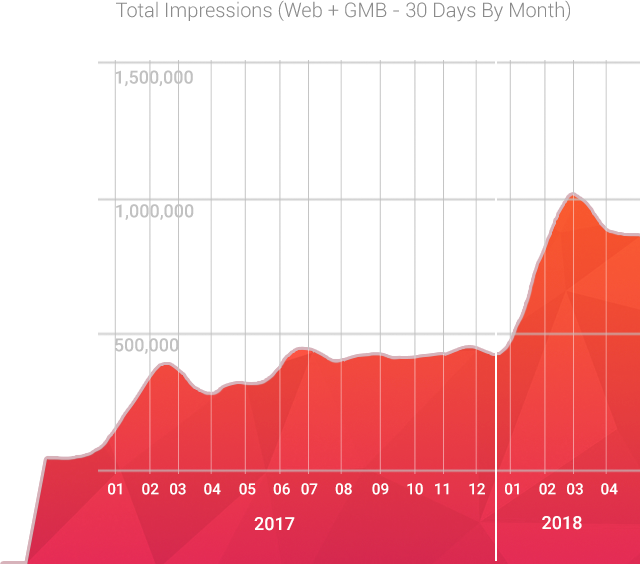 Tracking phone calls from the website from mobile users can show the engagement on mobile devices, where more than half of search traffic comes from. Better lead generation and tracking helps produce and measure marketing ROI more effectively. 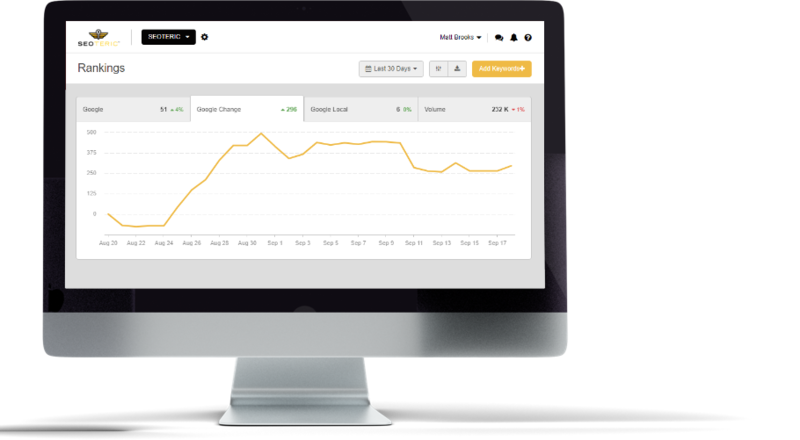 SEOteric provides a real-time analytics dashboard that includes all the important metrics you want to see including traffic, conversions, social insights, local insights, keyword rankings, and so much more. We leverage API integrations from Google Analytics, Google Ads (Adwords), Facebook, Google Search Console, Google My Business API, and others to compile a full digital analytics view. Each dashboard is customized with the KPIs (Key Performance Indicators) that you want, and includes filterable date ranges to see historical and recent trends. You get data when you want it - no more waiting on monthly reports for insights. Custom website design, web hosting, database application, boat builder app, and SEO services. Custom website design, individual location marketing, SEO, web hosting, analytics, and Google Adwords management. Logo and branding, custom website design, local SEO services and Google Adwords management. Custom website design, content development, CRM development and integration, SEO services. *The Local Package is for businesses that provide services to a local market with moderate competition. It focuses on keyword and topic saturation in your primary city. Business Listings Management A major part of ranking locally is your business listings, starting with Google My Business and expanding into all the major local listings and local citation providers. We help you manage the accuracy, consistency, and comprehensiveness of your business listings profile to give you the best chance to rank in local results. On-site SEO Optimization We optimize your website's pages and structure for SEO, including titles, meta data, internal links, and many more ranking signals. In-Depth Content Creation Google loves in-depth content because users love in-depth content. In order to be seen as a resource, you have to adequately provide all the information a person needs to make a decision. Our in-depth content creation goes well beyond the typical website content into answering the questions the user has about the products and services you are offering. Link Profile Management Next to content, the links that point to your website from outside sources have the largest impact on Google and search engine rankings. Links can strengthen your authority or hurt your credibility depending on the source and type of links you get. We monitor and clean up low quality links and optimize your link profile so it stays natural - helping you avoid Google Penguin link penalties. Lite Authority Building Page and Domain Authority indicate the strength of a page or website domain, and are among the highest correlative factors for ranking in competitive industries. Authority and credibility are earned through getting links from authority sources. Think of a link as a "transfer" of credibility and authority - who you are connected with will have an influence on your authority. We look for opportunities to create links using content, industry resources, business listings, blogs, and building new connections online. Analytics & Reporting We provide an in-depth and KPI level reporting to highlight the important metrics for each campaign. 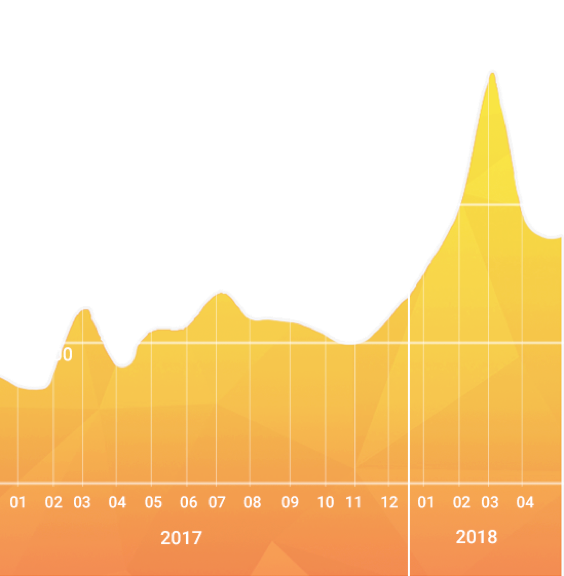 This data is packaged and delivered once per month, and include analytics data, link profile data, Google My Business insights, and conversion data. Real-Time Analytics Dashboard Get access to a real-time analytics dashboard that highlights key performance indicators (KPIs) including traffic, conversions, leads, and other measurables that are important to your digital campaign. You don't have to wait on reports to get updates. Additional Locations (+$) Need more than one location? You can add locations to your local campaign. Each location is considered its own mini-campaign, and pricing is based on the competition and scope of that area. Service Area Add-on (+$) If your location targets several surrounding areas and towns, we can expand your SEO to include these additional areas. Typically, the service area add-on will identify 5-10 areas near your location and target them specifically. This add-on is great for single locations that want a larger targeted area, and for expanding the reach of each location. pricing is based on the competition and scope of the areas targeted. *The Growth Package is designed for businesses in more competitive markets, and/or with larger service areas spanning across a state or region. It takes more authority to rank over a larger area, and this package is designed to meet those demands. Expanded Authority Building In order to compete in the broader area of a larger campaign, your website needs more authority than a local website does. We expand the authority building to acquire more credible links. This will include local resources for each targeted city, blogs, industry resources, national resources, and other ways to create connections that give us a link opportunity. Multiple Business Listings For business that have more than one location, we will create, optimize and manage the specific business listings for each location, with over 100 local citations and listings per location including Google, Yahoo!, Bing, and many other local resources. Location Specific Landing Pages Each targeted market within the service area will have its own landing page to help drive additional traffic and increase conversions. *Our most aggressive package is our Competitive Package. This package is specifically engineered for competitive markets, franchises, large service areas, or product marketing. The more competitive the market, the more authority you need to compete, so this package is heavy on authority building and competitive intelligence. Competitive Markets Even if you don't need to cover city and state specific searches, we can help you gain exposure in competitive markets by becoming an authority in the niche. Content, publications, news and PR, and influencer connections are ways to leverage connections for big link opportunities and exposure. You've got to get to the same level to compete on a competitive stage, and we do competitor and market leader analysis that can create a road map to success. High Authority Link Building Authority is what separates the large websites from the small ones. We kick authority building in high gear to attract as many quality links as possible. This isn't a link scheme or automated software (which can hurt more than help), but a strategic approach to getting your brand exposure. We aim higher when it comes to link acquisition, as the stronger the source of the link, the more authority we get from it. It is more difficult to acquire high authority links and requires more time and energy, which is why it is reserved for the larger clients. News, Press & PR Management Press and PR can do a lot for marketing and SEO when done well. The more "newsworthy" your business is, the easier this process is to manage. We will help create newsworthy experiences and stories that we can broadcast to news outlets across the country. The more places that pick it up, the better the exposure. This isn't just sprinkling a press release on press release websites, but it's about engaging editors and publishers with info and headlines that can create interest. This may also include providing insights and quotes to existing articles. Google Adwords Supplements Competitive keywords will take longer to get results based on the amount of time and energy it takes to climb up the rankings, so we will supplement the SEO campaign with a Google Adwords campaign to help move the dial and get growth started quickly. This campaign will be set up, optimized, and managed by us. When you need SEO Services in Columbia, SC, you want to choose SEOteric. We are the Columbia, SC SEO company that helps clients in Pine Ridge, Lexington, Irmo, Woodfield, and Columbia, SC. We help clients across the country with local SEO, and we have clients rankings for keywords in all 50 states and in many local results. Unlike other SEO companies in Columbia, SC, we are a full digital media marketing agency. We help clients with branding, content creation, local business listings, social media, video creation, and so much more. We started off as an SEO agency, and have evolved to include the services that businesses in Columbia, SC need to get ahead. We understand how Google operates, and we don’t take shortcuts or use tricks to get you ranked. We only use proven methods that actually increase your relevance and credibility with search engines, so our work will last. We want to be your SEO and digital media partner. When we work with clients on local SEO projects, we take an all encompassing approach that influences things like technical SEO, content, links, social influence, and website authority. To be successful at SEO in Columbia, SC, we have to influence as many things as we can. Take a look at the chart below. The more factors we can influence, the better results we can get. There are over 600 known ranking factors that are found within these categories above. You can see more on our SEO process by visiting our SEO Process page. Jack Welch is quoted as saying ‘If the rate of change on the outside exceeds the rate of change on the inside, the end is near.’ When it comes to digital media, you need to stay engaged to know how it affects your business. SEO and digital media is a fast-paced, changing environment. With SEOteric, we help make sure you don’t fall behind. Serving the greater Columbia, SC area. Our clients love working with us, and we think you will too. Give us a call to see how we can work together - or fill out the contact form.